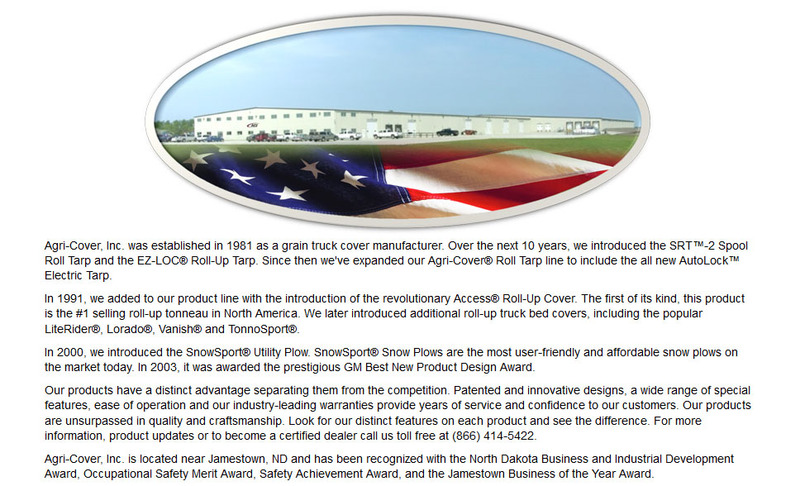 The 3XL model is designed for dually models and customers who want the best possible coverage. 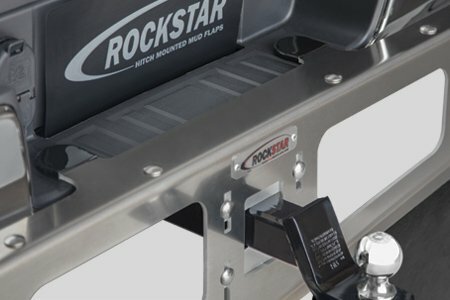 ROCKSTAR™ 3XL Hitch Mounted Mud Flaps use a built-in stabilizer plate that keeps the frame level with your bumper. Vinyl capped stops allow for easy receiver pin alignment. 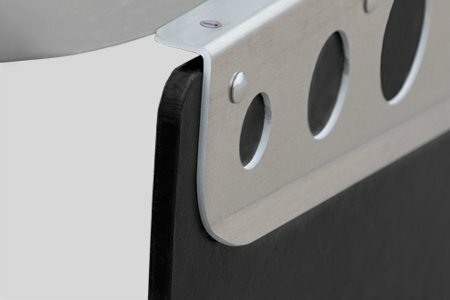 The rust-proof aluminum frame has friendly radius corners and is available in two finishes, smooth mill or bright diamond plate. 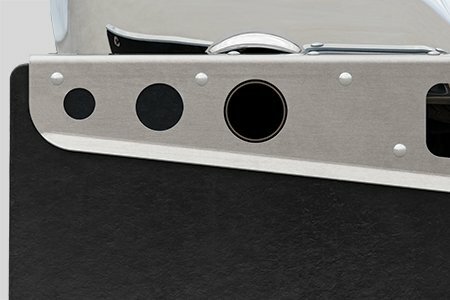 Stainless steel hardware is included. 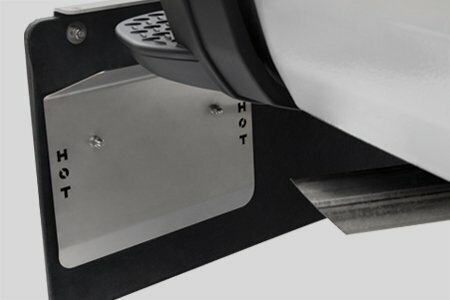 The 1/2" thick rubber mud flaps reduce sailing and their smooth surface minimizes ice and mud build-up. 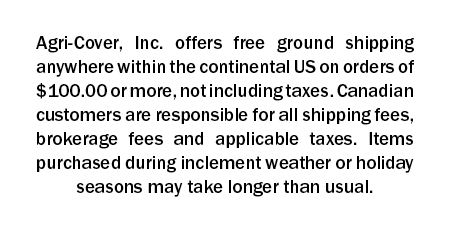 The rubber is rated to resist heat damage at temperatures up to 250° F. Also, optional rubber lengths are available for custom sizing and the exhaust holes are designed to work with Dodge OEM dual exhaust. 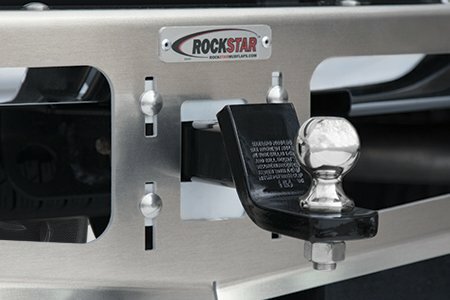 The frame mounts to a vehicle's hitch with no drilling required and attaches with an adjustable clamping system. 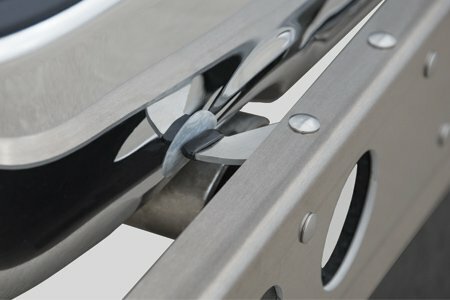 The convenient frame openings offer quick access to safety chains, pin and wiring. 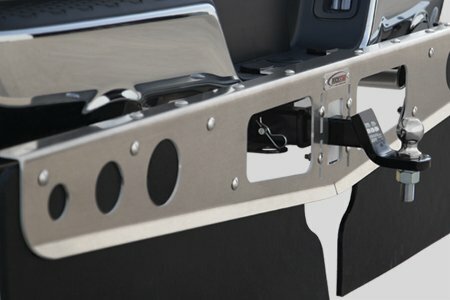 Simply pull the hitch pin to remove and store your mud flaps.